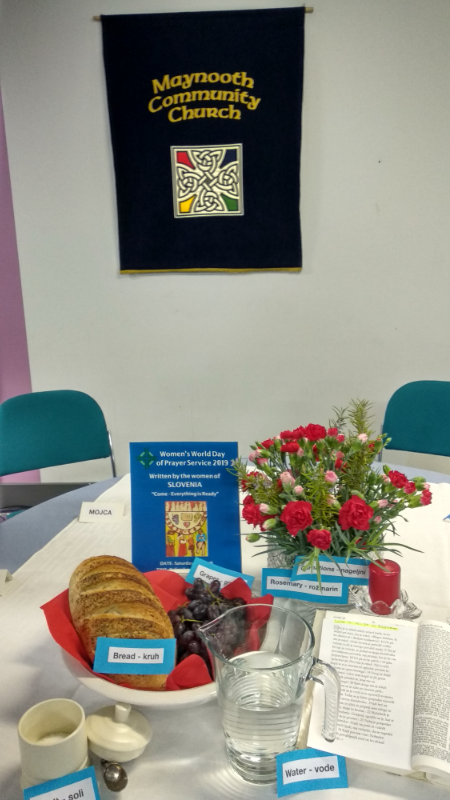 On Saturday 2nd March 2019, we were delighted to host this year’s Women’s World Day of Prayer Service in our meeting place in Manor Mills. 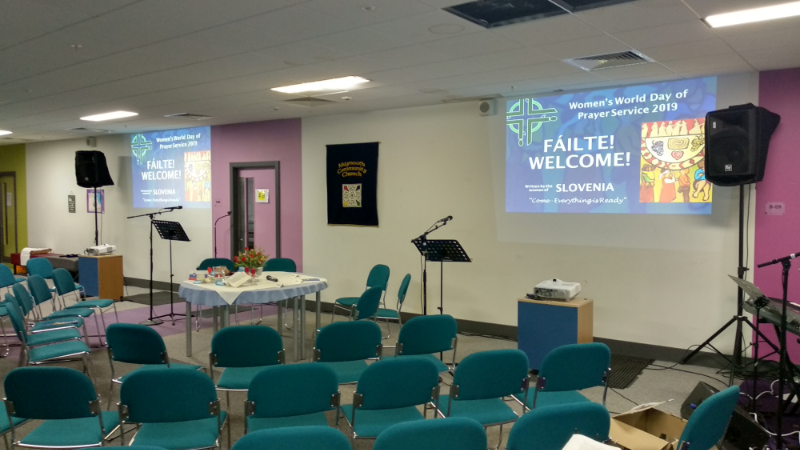 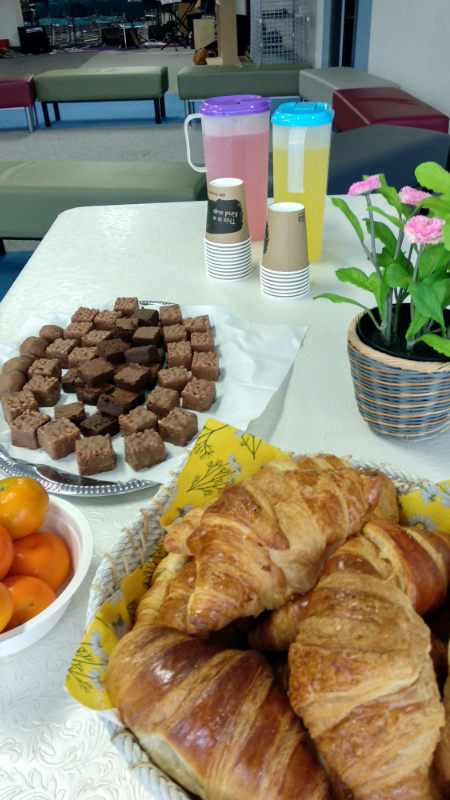 Written by the women of Slovenia, the theme fo this year’s service was “Come – Everything is Ready!” It was lovely to have members of the other Maynooth Churches together with us and to hear a little of the story of those who live in this beautiful, but troubled, country. 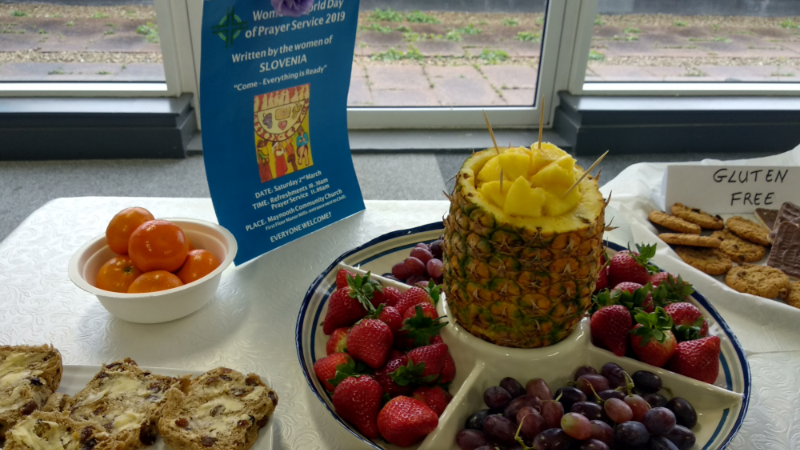 As you see from the photos below, we also enjoyed some lovely food together. 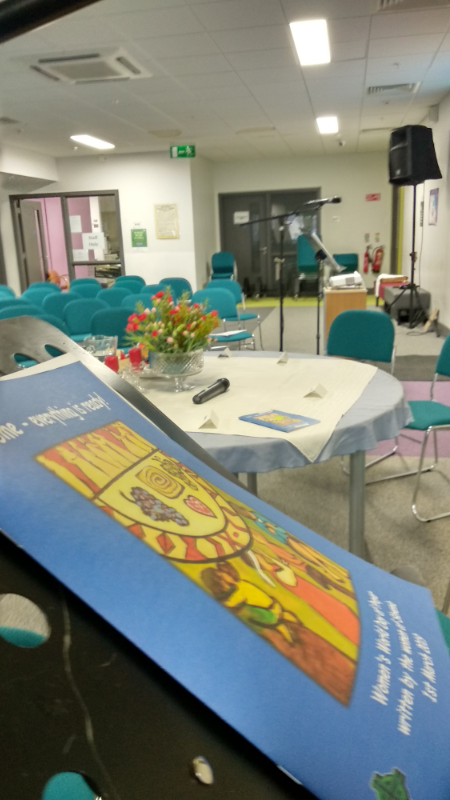 Our sincere thanks to all who made the event possible.